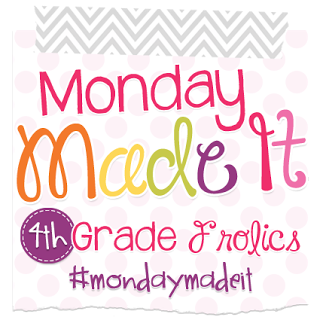 I'm linking up today with 4th Grade Frolics for another edition of Monday Made It! grabbed some Chick-fil-A, and then headed home. We got home about 11:15 p.m. and had to be to work bright and early the next morning. I've been working on making some new reading intervention groups and activities for a few of my kids. 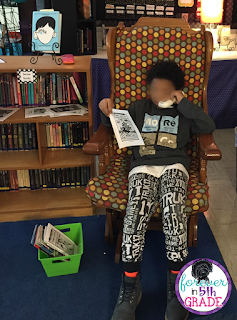 I got out the whisper phones I made a few years back and have a student working on his oral reading fluency. I also signed up for a free two week trial with K5 Learning. This is an online program for reading and math, though so far, I am only using the reading part of it with three of my students. It starts out by giving them a placement test to determine what areas they need to work on and what level they are at in each of those areas. I was surprised by how accurate the levels were that they came up with compared to the DRA and STAR test results that I have for each of my kids. After that, the students can start working through lessons which seem to be very interactive and engaging. 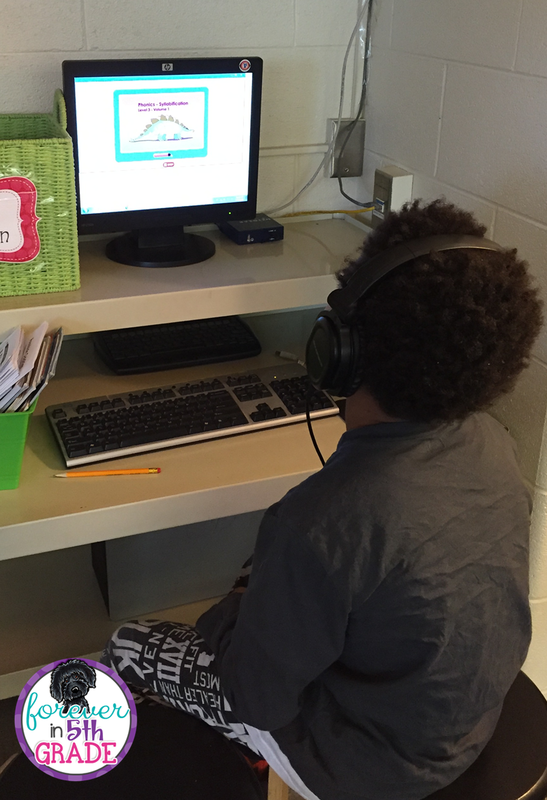 One of my students that I have working on this program has struggled with staying on task and motivation. He is now coming to me throughout the day to ask if he can work on another K5 Learning lesson when he finishes other tasks. He completed five lessons in just a couple days, which I can see by logging in and clicking on his report. I'm hoping to use money from the PTO to continue my membership once my free trial is over. If you would like to check it out and start your own free trial, just click on the button below. 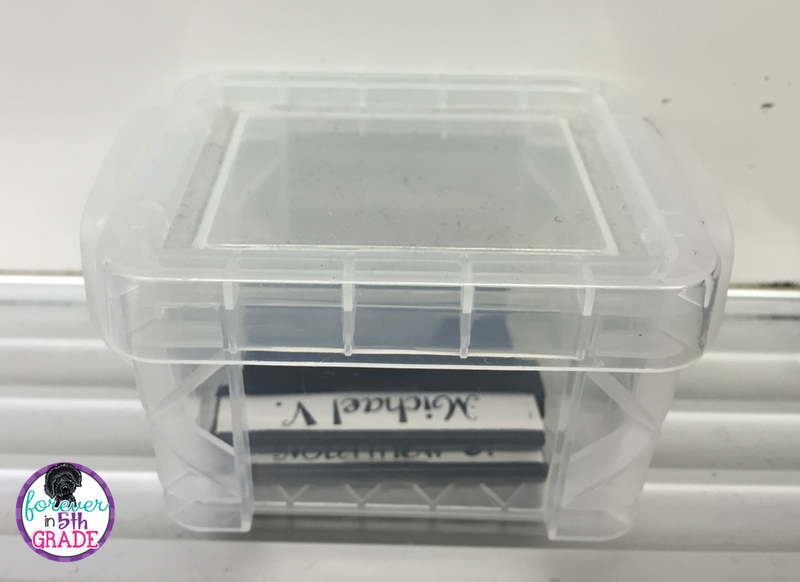 I have had these awesome little magnets that you can slide a piece of paper in forever! They were perfect for this! I have been holding onto them for years, knowing that someday they would be just what I was looking for! This is how the Homework Club works. 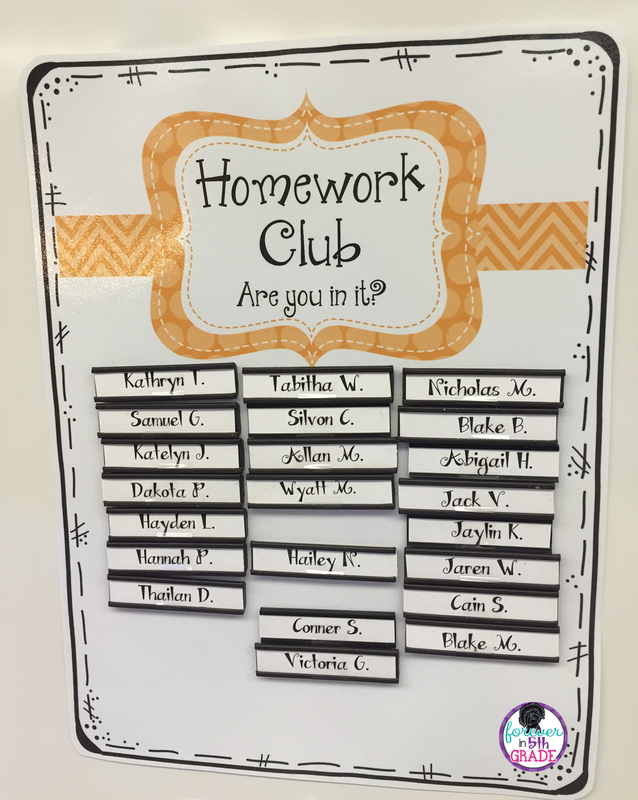 On the first day of the month, everyone is in the Homework Club. If you have a single late assignment, however, you are out for that month. 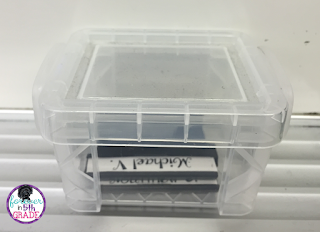 I found this great little box that I keep on the marker board ledge for the magnets of the kids that are out. 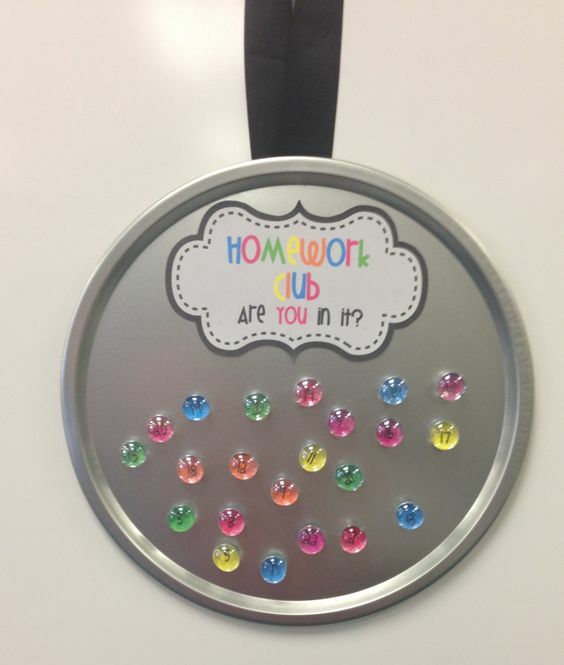 All the kids that are still in the Homework Club on the last day of the month earn a prize. To be honest, the September Homework Club was really small, only a handful of kids. Their reward was popcorn and pop during silent reading time. That did it! 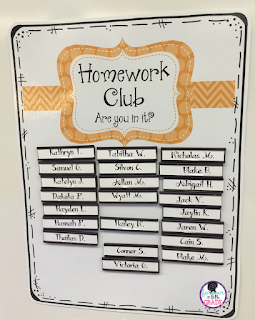 October Homework Club was about triple the number of kids! 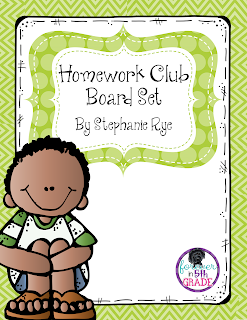 I just finished putting together my Homework Club Board set which includes everything you need to create a Homework Club of your own. You can find it in my TPT Store. Check out all the other Monday Made Its at 4th Grade Frolics! 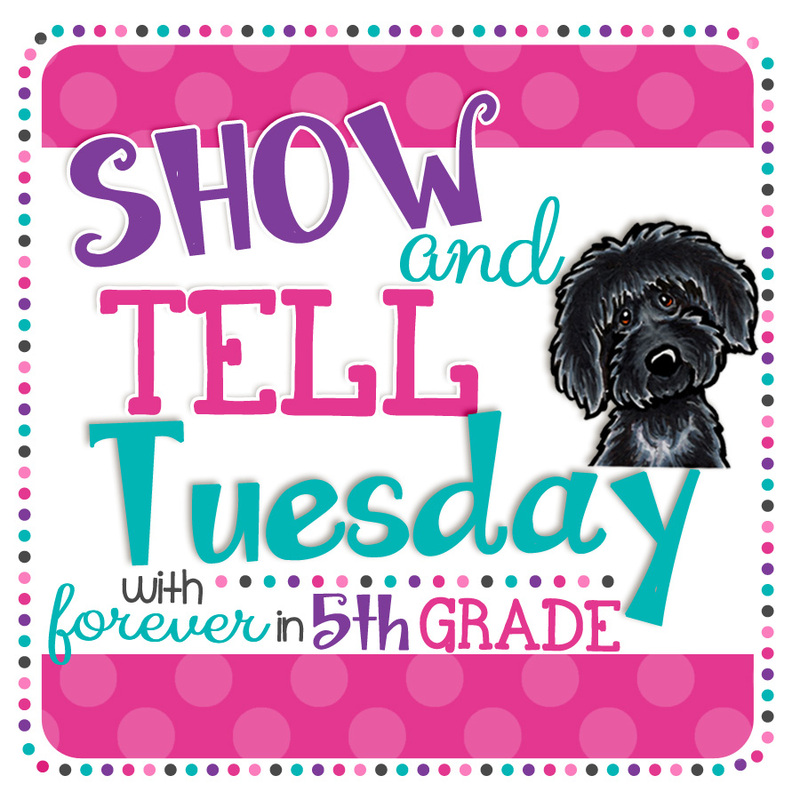 Also, make sure you stop by next week for another edition of Show & Tell Tuesday! I'd love for you to link up! Do you remember where you bought those magnets? I love them! Wow!! All of your ideas and resources are fantastic! 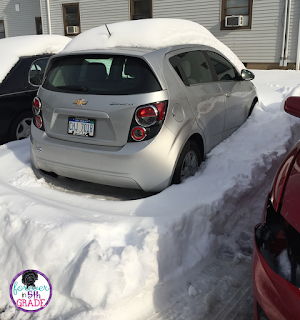 Your blog has been an incredible help! Thank you so much! Do you know what size the magnet slider things are?